Home > Learning Center > Learning Center > What are Renewable Energy Certificates? One of the most important things that humans can do to protect the planet is to generate renewable energy. Whereas fossil fuel energy results in harmful greenhouse gas emissions, renewable energy keeps our homes and businesses powered without contributing to climate change. If you want to get involved in renewable energy production, you can do things like install solar panels on your roof or even erect a small wind turbine in your backyard. But since most of us can’t go completely off the electrical grid, we still need to buy some amount of electricity from our local electrical utilities. And that’s where renewable energy certificates (RECs) come into play. A REC represents one megawatt-hour (1,000 kilowatt-hours) of electricity that was generated by a renewable energy source. The purpose of RECs is to help keep track of how much renewable energy is generated and consumed, since all electricity ends up mixed together in a common interconnected grid. Renewable energy isn’t necessarily generated by your electrical utility. In fact, it’s more likely that if you have electricity flowing into your home from a renewable source, it came from a third-party green energy producer like a wind or solar farm. Other sources of renewable energy include hydropower, hydrogen fuel cells and geothermal energy. When these third-party entities generate electricity, they earn one renewable energy credit for every megawatt-hour of electricity they produce. They then submit information to a voluntary certification agency to verify how the electricity was produced, which allows them to obtain a renewable energy certificate for that megawatt-hour. That certificate can then be sold or traded to another company, including electrical utilities. It’s through this process that companies can claim to be powered in part or in whole by renewable energy, even if they don’t produce any of that energy themselves. If this system sounds familiar, it is -- before RECs came along, there were carbon offset credits. A carbon offset credit represents one metric ton of carbon emissions that were not released into the atmosphere, and purchasing these credits allows companies that do produce carbon emissions to claim to be carbon neutral. Depending on where you live, you might be participating in this eco-friendly system without even knowing it. That’s because a majority of states have laws stipulating that a certain amount of their energy must come from renewable sources, and much of this is done through the purchase of RECs. Many of these laws include schedules that increase the mandatory level of renewable energy use over several years. These laws are tracked by the National Conference of State Legislatures, so you can see how aggressively your state is transitioning to renewable energy. 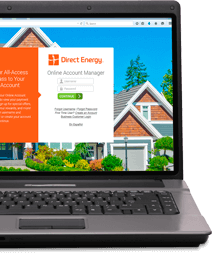 In some areas, especially in states with deregulated electricity markets that allow customers to choose where they buy their electricity, you can opt-in to programs that make use of RECs. Check with your utility or retail electricity provider to see if they offer a voluntary green energy program that promotes REC purchasing. If you’re in a deregulated electricity market and your current retail electricity provider doesn’t offer this option, you can always shop around for another provider that caters to customers who value renewable energy production. We only get one Earth. For those who aren’t ready to install solar panels and start generating their own renewable energy at home, participating in a REC program is a meaningful way to help protect our planet.